A few days before a new year 2019 before the Democrats takes over control of the House of Representatives again opens the case on the subject of Impeachment. 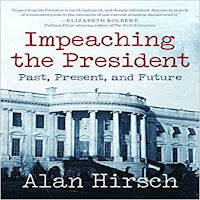 Reading through Alan Hirsch book validates the process of impeachment. A process that has been improved yet raise on every President since 1994's Bill Clinton's case of impeachment. From George Bush to even Barack Obama's issue of being not born in the US and using an Executive Order for DACA, it seems to be now a trend that "Impeachment" has been always a discussion in Congress. Whether it does happen, discuss or even a bill created towards impeaching the current Commander In Chief is the real question. 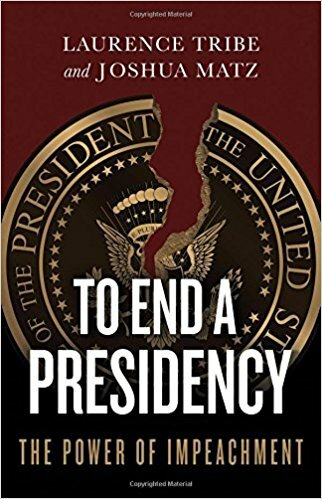 What's the main difference as the author noted in previous Presidents is that most of the impeachable cases came about on the previous Presidents second term in office. The main relevance on this case today is on April 2017, 3 months right on the start of the 45th President Donald J. Trump first term presidency solidified his impeachment case followed by the creation of the Special Counsel to investigate on the Russian intervention of the 2016 Presidential elections. As of this writing, it is the 3rd government shutdown on this administration when no deal came about with Congress and the White House. The main issue tackled is a "Border Wall" between Mexico and the United States, the main requirement of President Trump. The democrats as known will never agree to this border wall. The President now trying to get more and more open to negotiations, says it may now be a "Steel Barrier Fence" instead of a "Concrete Wall". Whether this new nomenclature will be agreeable still raises the question. If you really want to end the shut down Mr. President, a simple grammar correction might be "Border Security". Your business acumen knows better by using corrected grammar then identifying the right necessary steps and tools you might need taking into consideration what are the allowable actions in such terms. 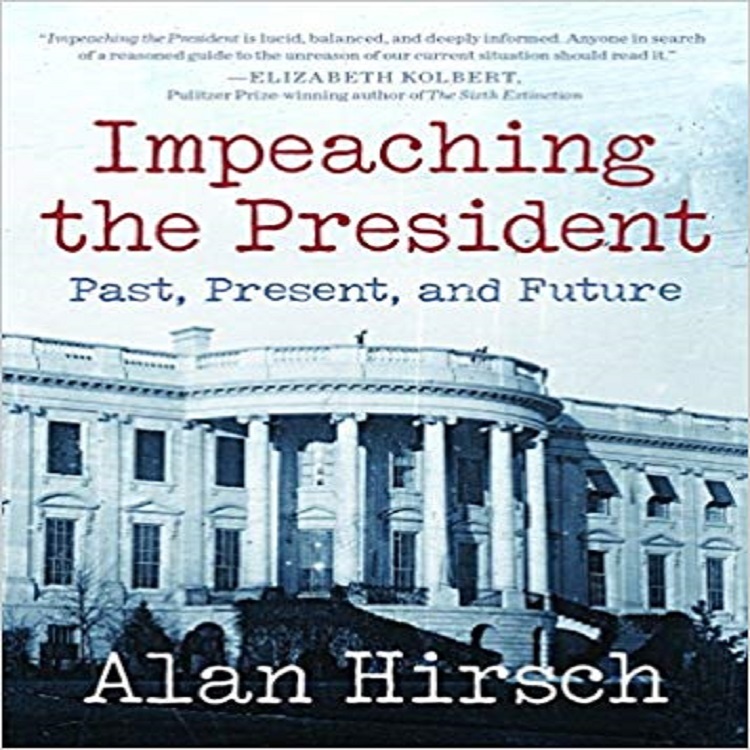 Hirsch did a good representation of the historical narratives, engravings, illustrations and documentations on the impeachment episodes dating from Andrew Johnson, Richard Nixon to the last one of Bill Clinton. Clinton's case made the trend to start an impeachment discussion on every President that followed from Bush, Obama and now Trump. America as the greatest country is the epitome of democratic principles. Authoritarian rulers are commonly seen in history from third developing countries for example as their President, Prime Minister, General are above the law coupled with corruption and human rights violations. Hence is why Saddam Hussein is now history. Such authoritarians act and lead on their own choice and command, controls their Congress and titled as military ruler. This is why some of them were deposed by their own military by way of a Coup D Etta. As I see it, firing the AG, FBI Directors neither is obstruction on the case of President Trump is a long shot towards removal from office. Him holding the highest office of enforcing the law given to him sort of immunizes him being removed or sued right now. The campaign spending issues may or may not be legal cases but that will come after his presidency. Congress is mainly focus on protecting the Special Counsel Mueller's from being removed or dictated. This is because this is the prime case that may lead to a case of impeachment if this President or his enforcers derails Mueller's investigation unless Mueller acted improperly. When a President prevents a Prosecutor to do his or her job because he feels threaten as signs shows in the past then this obstruction of justice for an impeachment case of the 45th President. Richard Nixon as verified by the author in book made the strategy to change the Special Prosecutor and was not later impeached. It is agreeable that if Trump does replace Mueller it might or not reduced an impeachment case. However, today is very much a different case as this President has since already concluded on him being threaten by this Prosecutor's actions. Likewise, Nixon eventually resigned from office as a last resort. What happens to this President amidst a new Congress is there to see in 2019. It might turn things around for the better good by being non-partisan between Congress and the White House as seen in previous Presidents or whether a case of impeachment is doom, we will have to see. May we enjoy the blessings of this Holiday Season and Hoping for the best of the New Year. The power the President has over “immigration” is limited to what is established by the Constitution. The President cannot establish new rules of Naturalization. 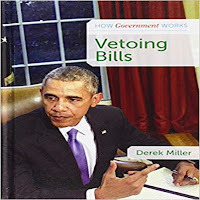 He cannot issue waivers to overturn rules of Naturalization that are established in compliance with the Constitution. 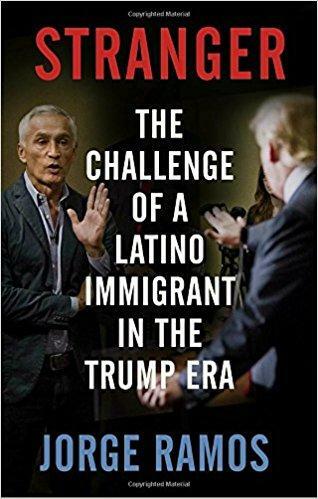 From the issue of the ending DACA when this administration started by the Attorney General, building walls on the border of Mexico, the impending show of military might on a caravan fleeing persecution from a hostile country and now the ending of the constitutional birthright in the United States. It's kinda hard really to simply stay silent when all this adds to the divisions and the new way how people see America as a country. The power over foreign immigration is delegated through Article 1 section 8 clause 4; “To establish an uniform Rule of Naturalization.” Because it is delegated under Article 1, we know this power is specifically vested in Congress. Separation of powers dictates that since the power to establish this Rule is rests in Congress, it cannot be exercised by any other branch. We can see that the executive branch cannot ESTABLISH the Rule of Naturalization, but what authority does the President have over the naturalization process?, quoted from KrisAnne Hall, Presidential Power Over Immigration article. Hence, President Obama during his 8 years also wanted Immigration reform tried several times through Congress but was not successful. Finally, he came up with an Executive Order which created the DACA which the Trump administration tried to stop. Thanks to the courts, DACA recipients are still protected. It is an expected bombshell that right after hours when this so called new Executive Order to end the birthright of people born in the United States will immediately start the legal battle of lawsuits to challenge and stop this said order. Whether the US Congress will react on this Executive Order depends the outcome of the mid term US elections in two weeks. Presidential proclamations, by their nature, are solely within the prerogative of the president and do not have any pre-publication notice requirement, as (for example) regulations do. Therefore, the only way to challenge a presidential proclamation suspending entry of all or some foreign nationals based on their nationality, in the case of incoming Caravan would be a post-promulgation legal challenge. Such a legal challenge would pit two well-established legal doctrines against each other. On the one hand, Congress has been deemed in many cases to have “plenary power” to make immigration rules and to delegate unrestricted discretionary enforcement power to the executive. Courts have held that statutes or exercises of discretion that would otherwise violate the equal protection guarantee under the Constitution are allowed in the ­immigration sphere. This is why right after this so called new Executive Order in ending the birthright of people born in the US will have such a phenomenal legal battle. Likewise, this will add to the spectrum of how this presidency has turn out in delivering it's promises while creating a lot of division and how it had affected the citizens of this country. This will lay the framework for 2020. With the approaches this administration has taken, the likes of autocrat leaders depicts in it. The bigger question is will the Constitution even allow it or perhaps the next step is changing the Constitution using Executive Powers. The "Fear " is now concluded "The Dangerous Case of Donald Trump"
In THE DANGEROUS CASE OF DONALD TRUMP, twenty-seven psychiatrists, psychologists, and other mental health experts argue that, in Mr. Trump’s case, their moral and civic “duty to warn” America supersedes professional neutrality. This book upon release made sure this was not leading to a diagnosis. With all the dumbfounded and madness in Helsinki, regardless the fear concludes by itself. It's practically a brainwash analysis why this President's actions are. 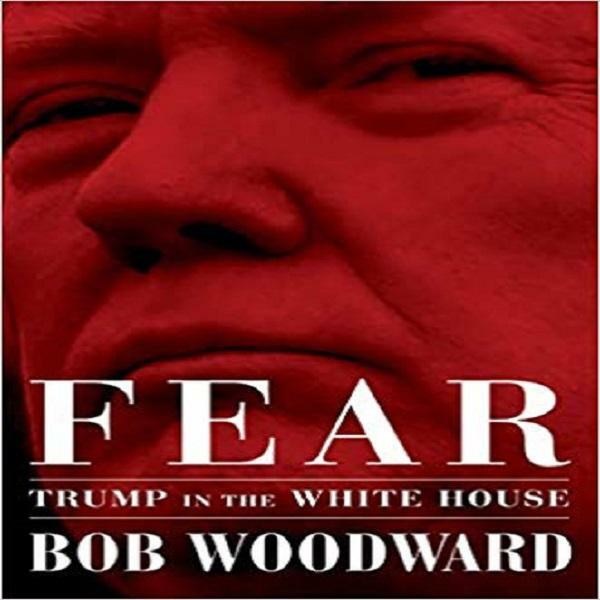 Woodward's 448-page book, "Fear: Trump in the White House," provides an unprecedented inside-the-room look through the eyes of the President's inner circle. 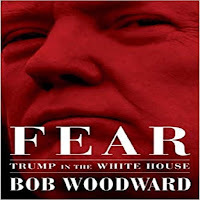 From the Oval Office to the Situation Room to the White House residence, Woodward uses confidential background interviews to illustrate how some of the President's top advisers view him as a danger to national security and have sought to circumvent the commander in chief. Part of the excerpts including the recent anonymous article by the New York Times touches on taking a confidential paper out of the desk of this President so he never gets to see or read it as it will affect national security. Remembering the days of the deposed dictators in history, this is was of the strategy when these dictators were either ill, incapacitated but has to be the mocked ruler head of state. Thus, it got to the point that the inner circle of these depose leaders were actually running the government. One case in remembrance was when Ferdinand Marcos in the 80's was severely ill with Lupus and then First Lady Imelda Marcos was giving marching orders together with then the newly elected Prime Minister. Any circumvention to the effect like taking the said confidential paper from the actual view of the President is illegitimate. When such acts are started it thus continue and to what extent we do not know until the personalities are exposed. The fact of the matter is either we can prove there is an incapacity in performing the duties of the presidency due to mental health. Or is just a mere case of incapability to real act as the leader of the free world which is the long shot to prove. Watching the 44th President Obama finally hit the campaign the last 2 days indeed opens the realities. The United States is the epitome of democracy. Although I've mentioned past dictators in history, as mentioned I do not foresee in my lifetime to see any US President to be indeed impeach unless they resign as President Nixon did. Obama shows the long way on the process if ever if it does happen or to the nearest it can be in history. It starts by "Voting". In any democratic country it starts from the local and mid term elections that continues to the the Senate and Presidential elections. This new book is indeed expected to be much compelling than the series of books written about the dysfunctional state of this presidency. The author also has credibility all the way from the Nixon years and most of all as we all know, a lot written in this book we already know and it reinforces those events and knowledge. In one revelatory anecdote, Woodward describes a scene in the White House residence. Trump's lawyer, convinced the President would perjure himself, put Trump through a test — a practice interview for the one he might have with Mueller. Trump failed, according to Dowd, but the President still insisted he should testify. This part again is a known fact as we see the daily appearances of TV, the use of words, the stories changing from what was said before and after. I remember back in the day being a young businessman who was so use to be direct and stick to the point, assessing if a buyer will buy or not, or another business person agreed with me or not. Then when I started to be involve on projects together with government leading the be a delegate and representative for young entrepreneurs, I started to hone my words, I learned the outcomes of business actions cannot be necessarily applicable to leadership involving society. The best part then was I was young and it was easy for me to understand change. A 70 year old businessman well enriched himself through the years can never have the decorum I had as it's too late as the brain cells are too developed to even comprehend what's going on. 60 days from now, after the New Congress has been elected, we can continue the discussions. This is the way democracy works in America as this is best legitimate way of approaching this as the people have spoken. As much as I'm avid techno follower with the first Trillion dollar company while looking forward to spending my retirement savings invested with technology, it bothers me on the downside effects to my daily living on the "New Threats". The last few nights made me think about getting woken up with these app notifications. You turn them off, moreover even uninstall them, then as the sun goes up you check your emails. Low and behold as you check your emails as much as the email systems are getting better to moving junk, spam, promotional emails away from your inbox, you still have to mark some and delete them from your inbox. The next thing you do is browse your hundreds of spam and junk, block them and the domains. The next morning the same subjects you just blocked yesterday are back using different email address and domains. But in common sense you would wonder why these junk emails are using the same subjects and formats from those you had already blocked thinking they're gone. These scenario in itself is non ending daily routine. Then you go to this social and promotional emails or even those in your inbox, link to un-subscribed which even sometimes brings you to the home page website of the sender where you confirm you want to un-subscribed. Guess what, when you check in a few days and they are back. Prior to these heavy hacking on the elections, if you still get an email from a site you have already un-subscribed, you can file a complaint and these websites can be banned or penalized. It was that simple as reporting telemarketers continuously calling your phone after you have reported them and removed your number from the marketing numbers to be called. This is why I say there is a "New Threat" as there is no stopping on these attacks and annoyances. 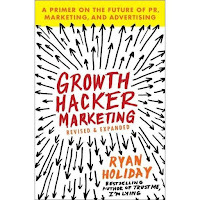 Although smart phones are really quite hard to infiltrate being a mobile device, guess what if you do click on a text link you just gave permission to hack your phone and your life. I'm not going to elaborate much on Social Media accounts and advertisements as by now we all know about this in the past recent months. 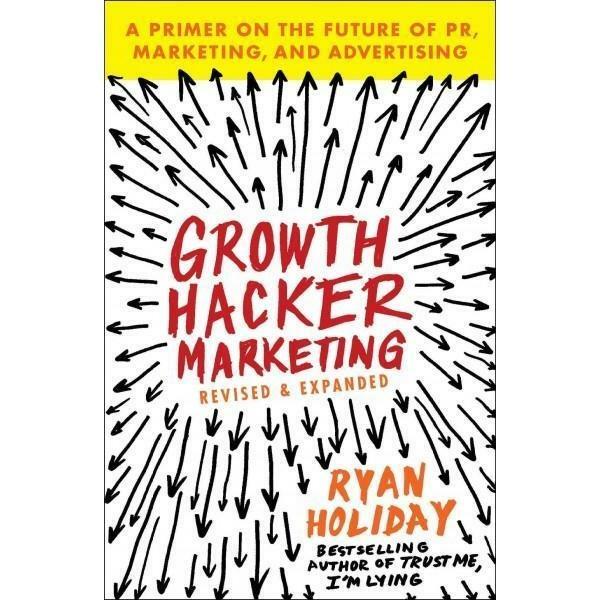 What I can say is that influencing psychological thinking and behaviors for the mere purpose of profit depicted the very purpose of social media influence of connecting people. The hardest part of the challenges in here is that computers and algorithms running infrastructures just to approve a social media ad due to the bulk quantities is not acceptable. Normal people being banned to a post they may have not even have posted themselves is another example of a platform managed by computers instead of humans. Hence, later on hundreds or even thousands of fake accounts to be discovered and removed together with fake ads. Not like in the old days, you either call the authorities, right a letter, file a complaint or even report unanimously. Today's world is very complicated and sad to say there's not really much help but to be personally vigilant and watch your own back. Hopefully, as technology goes further towards the 22nd century more research and laws can be enacted as for sure these new threats are gonna get more sophisticated in time. As my writings are more link to current issues and events including current governments, I normally don't do a lot of reading and writing on the past. For some reason, I was convince to preview the few parts of this book precisely due to the humble introduction made by the author, Dan Pfeiffer when clarified through his Reader Beware annotation saying that the book is not about the Obama years, continuing that he is not an historian but mostly a journal of how remembers his Obama affiliation, and Obama's last Pod Save interview with him. He wanted to connect the present state of politics and his thinking on the future is why I sort of said it may be relevant to the present. This book is a side by side challenger to Trump's America authored by Former Speaker Newt Gingrich where he compared the anti-Trump Coalition and the Trump die hard. Contrary, Dan Pfeiffer navigates to Why and What happened to the election of the new president which leads to the Anti and Pro Trump coalition in Gingrich's book. The main relevance for me is that Pfeiffer tries to create an argument to young people that politics is worth engaging to. The very essence of why I continue on youth advocacy through my blogs and writings. I do credit the author Former President Obama as indeed it was in 2008 that change the scenario of US elections when the young people in that election was historic in votes making Obama President. As Pfeiffer explained, just on the Obama written book of Dreams of My Father, touch on being young, mixed cultural race towards a rising minority to the highest office in the most powerful country in the globe. The author himself cited his personal travails starting in 7th grade in Japan, his recollection of the politics and presidents from that time forward. Later towards Obama's presidency that he created his executive order on DACA and the Dreamers knowing the broken immigration system. Obama knew it was not going to be on watch even if some day there was indeed an overhaul on the immigration system. His first year in office was spent on the Financial overhaul and modernization needed to come out of the deep recession. Any business person including the current commander in chief have a an understanding of what and why this crisis was. Of course how the statements of the current administration on this a deliberate attempt of mere discredit to a legacy. The Affordable Care Act in another issue has been debated through this day at the start of the new administration. The goal of eradicating a legacy keeps popping up from all fronts including fake news and the democrats. 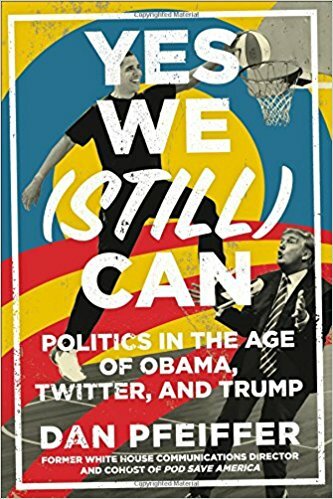 As I end on this short commentary, another interesting piece I read while previewing this upcoming bestseller is on how President Trump has change the traditional ways of Presidential communications. On this part regardless, I will have to agree on how Mr. Trump has revolutionized the structure of easy communications from a sitting president through constant daily tweets. This part I find President Trump also a businessman gains credit. The files of paper overloads and staff just to answer letters and communicate by previous presidential staffs were tremendous. Not only had we reduce waste of paper etc.., The Office of the President has shown a better each to reality. I would end on what Dan Pfeiffer said that instead democrats should be looking on the history on how Obama won in 2008 using social media and the youth instead of looking at each tweet President Trump does everyday. is 6 days away as of the writing of this blog. Written by two distinguish authors, Laurence Tribe and Joshua Matz. Laurence Tribe is the Carl M. Loeb University Professor and a professor of constitutional law at Harvard. One of America's foremost constitutional scholars, he is the coauthor of Uncertain Justice (with Joshua Matz) and numerous other books and articles. He lives in Brookline, Massachusetts. Joshua Matz, a graduate of Harvard Law School and a constitutional lawyer, is the publisher of Take Care, which provides legal analysis of the Trump presidency. He lives in Washington, DC. 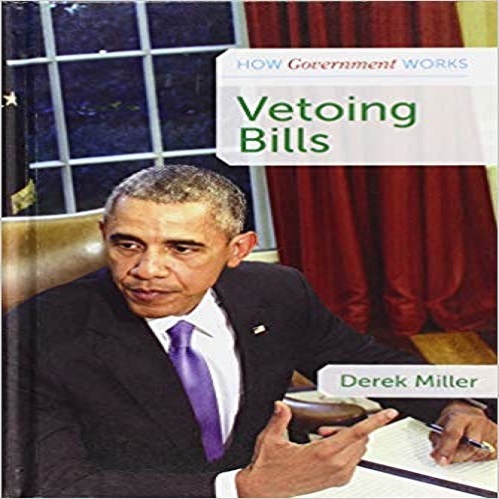 I had a personal interest in this book as the topic of impeachment itself is very complicated. 'Impeachment is not like a magic Harry Potter spell or wand nor a doomsday as they say in fairy tales. It such in depth that notoriety in wiring books on this topic requires such expertise and familiarization not only of the process but also constitutional law. Added to that are the democratic ideologies and how it impacts the current administration and president hence is what this topic has been discussed since day 1 when this presidency took effect. Hopefully, an overview of the process and facts on lay men's understanding can shed some light on the real significance of this topic today. The reality is that is such a hard process to impeach a president. Hence, two past presidents impeachment tries didn't really resonate. America's founding fathers did include this provision from the very start as weakest last resort as if in case of fire break the safety glass cabinet to get the fire extinguisher. While there are really no glass case to break nowadays in this age, that barrier in reference to impeachment is still the same meaning their still is a glass case with a lock. I remember Psychology plays a big de facto on impeachment. 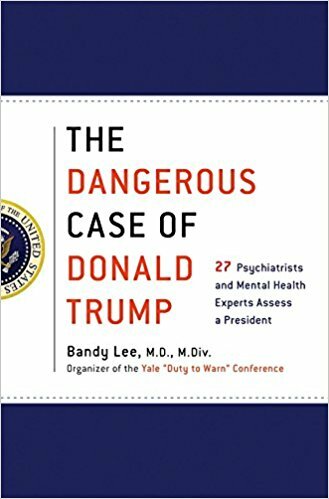 In the past year we have seen the psychology books written about the President's mental health. The truth of the matter, a being disturbed, acting strange even like an idiot, saying different things and versions does not surpassed the test of getting impeached. The said person truly and definitely has to be mentally ill to pass the test. This is why of all the books written, I believe the closest case if ever if there would be one case for impeachment would be on Bribery and Collusion with a foreign in meddling the outcome of the presidential elections. And even then if the facts of the case gains a positive outcome, the hardest part would be the constitutional process. Both the United States Senate and House of Representatives has to be both having a majority vote to enact the impeachment. Regardless, of the lengthy process in developing the case, without both majority vote will either enact or if ever this case finally dies. One example is in the case of President Clinton in 1998, the vote pass the House of Representatives but failed in the US Senate. The bigger question even to be ask is "Is it possible that a Congress in which the Republicans control both or even one chamber would consider impeaching Trump?". This is why I'm hoping that this new book written by two notables on the subject will lay out the underling and tedious criteria s on what is really involved even to get a case for impeachment. When you get to read this new bestseller, please share your comments and we together review not just this book bu the case of impeachment.